My mom used to make this for my dad when I was a child. This is my rendition of it. Melt earth balance in pan over stove top. Add diced pineapple chunks to pan. Let simmer for 5-7 minutes (stirring often). 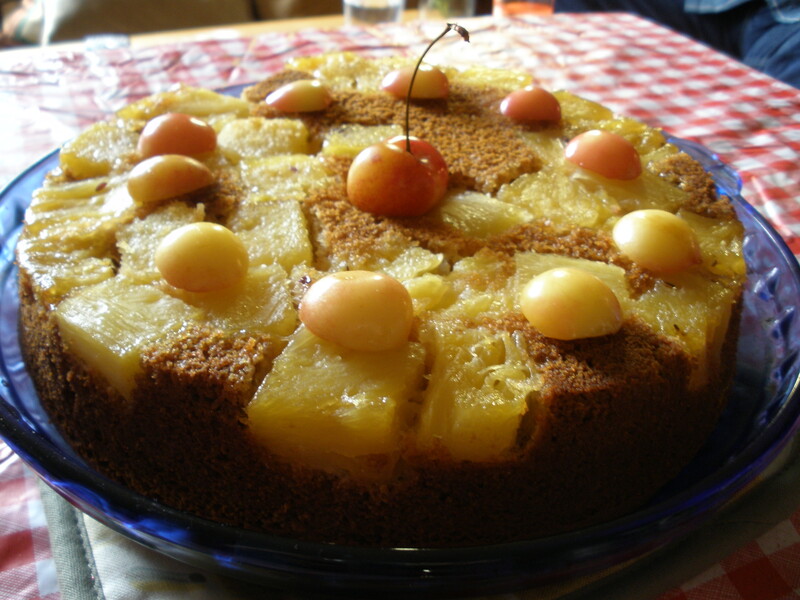 Remove pineapple and place on round cake pan. Mix all dry ingredients (gf flour, baking powder, baking soda) in large bowl. Add honey, maple syrup, pineapple juice, and vanilla. Stir (will be chunky). Pour batter on top of pineapple chunks in cake pan. Bake for 35-40 minutes (or until toothpick comes out clean). Cake should rise. Remove cake from oven, let cool for 10 minutes. Flip cake pan onto a large plate.